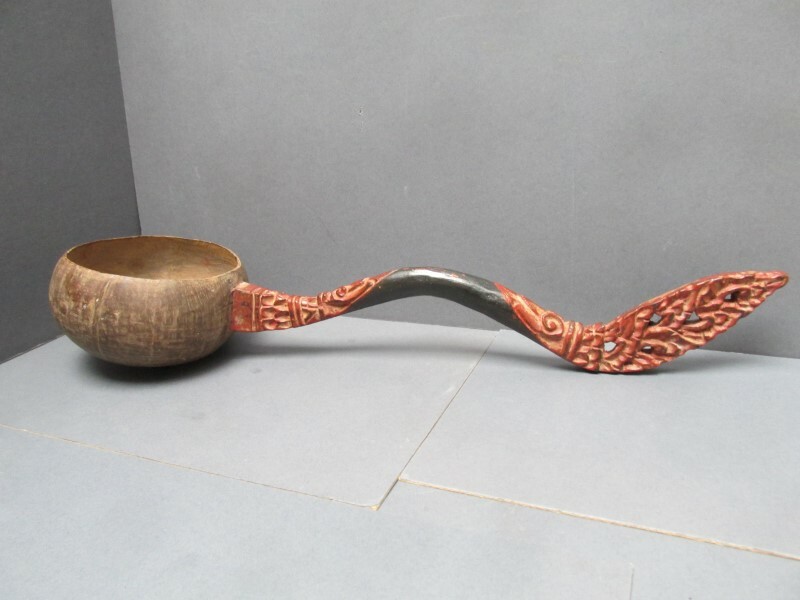 Rare water scoop from prewar Bali. A coconut has been cut in half to create the container for the water. Sometimes in prewar bali even simple household objects, like this one, are decorated with carved motivs. The last photo depicts a Balinese girl with a typical ordinary water scoop. The photo was taken around 1930. Pls click on the photo to get more info and photos.